Delijelly candy Fini 1 kg. Chocolate Bites Fini 80 grs. Chocolate Hearts Fini 80 grs. Kings carbon Fini 80 grs. Jelly Beans Fini 1 kg. Mexican Skull marshmallow pop - BOX OF 12 UNITS. Monster Challenge Fini - UNIT. Red Devil Mix Fini - UNIT. Scary Party Halloween Fini 200 grs. Scary Party Halloween Fini 200 grs. - UNIT. Monster finger Haribo 1 kg. Monster finger Haribo 1 kg. - PACKAGE OF 1 KG. Sugared Golden Bears Haribo 100 grs. Sugared Golden Bears Haribo 100 grs. - BOX OF 18 PACKAGES. Red&White liquorice Haribo 100 grs. 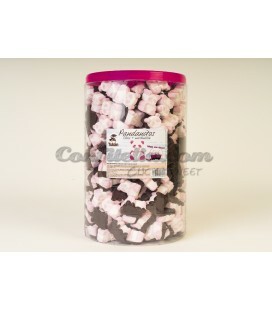 Cherry soft candy Fini 1 kg. Yo Jells gummies Fini 180 grs. Yo Jells gummies Fini 180 grs. - BOX OF 16 PACKAGES. Balla Stixx lemon Haribo 75 grs. Balla Stixx lemon Haribo 75 grs. - BOX OF 18 PACKAGES. Gummy Turtles Haribo - PACKAGE OF 250 UNITS. Savanna Mix Zero gluten Fini - BOX OF 16 PACKAGES. Regaliz Roller Crazy by Fini - BOX OF 64 ROLLS. Sour Octopus Fini gummies - PACKAGE OF 250 UNITS. 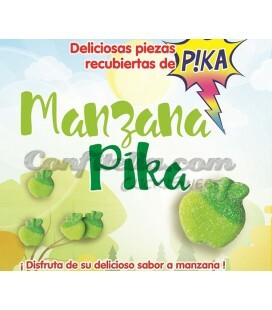 Cola Sour tongues by Fini - BOX OF 200 PIECES. Chewi Chips liquorice Fini - PACKAGE OF 250 PIECES. Chilli gummy jellies Fini - PACKAGE OF 1 KG. Mini strawberry sticks Fini - BOX OF 320 GRS. Soft Hearts gummies Haribo 100 grs. 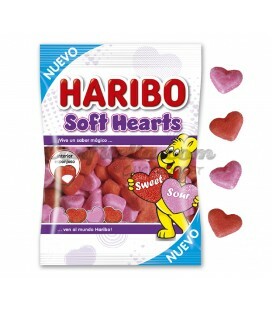 Soft Hearts gummies Haribo 100 grs.- BOX OF 18 PACKAGES. Little Mix Fini gummies - BOX OF 6 CUBES. Mini Twisters strawberry Fini - BOX OF 320 GRS. Mini Sticks Twister Fini - BOX OF 320 GRS. 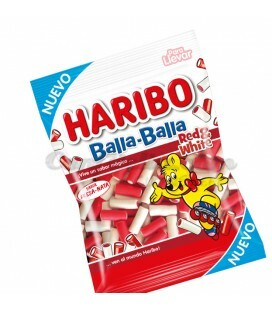 Balla Balla Duo Liquorice Haribo - BOX OF 18 PACKAGES. Pandanitos with chocolate - CAN WITH 200 UNITS. Sugar strawberry Fini 1 Kg. Fini Roller strawberry liquorice - BOX OF 40 ROLLS. 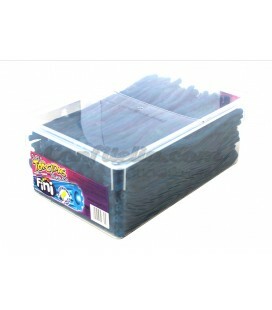 Fini Roller Fantasy liquorice - BOX OF 40 UNITS. 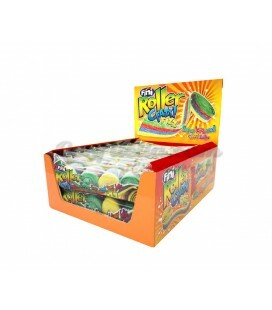 Fini Roller watermelon liquorice - BOX OF 40 UNITS. 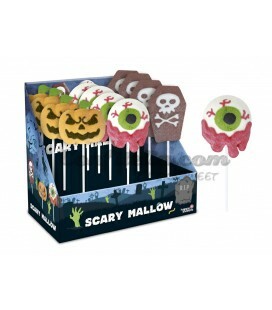 Scary Mallow skewers - BOX OF 12 SKEWERS. Sugar Shuffle gummies Fini - BOX OF 16 PACKAGES. Mega Roulette Haribo spike - DISPLAY OF 48 ROLLS. Gummy jellies. Online selling of leading brands. We offer you jelly beans made with the latest technology; they are now healthier and present new flavours and shapes. But you can enjoy the traditional ones if you want, too! They will delight the youngest members of the family… and some of the elder as well. We put at your disposal jelly beans of all sizes, colours, flavours and shapes. 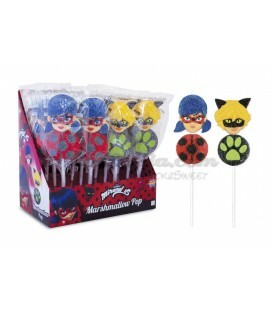 And, if you want, you can customize your candy and turn your birthday party into a roaring success! We have all kinds of jelly beans. You won’t find jelly beans online as good as the ones that Confitelia.com offers you. We promise you!